Nicer than expected. Just what I wanted and super condition. Great value! Great Seller with Prompt shipping. Thanks !! Great Buy! Exactly what I was looking for! Thanks! Very clear communication and easy to do business with this seller. 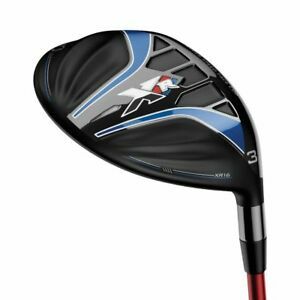 I have a Callaway AR 16X driver, and bought the 5 wood as a replacement for my 3 Hybrid. Much easier to hit, high launch angle, Holds on greens, and easy to hit straight. Very good condition for a used club. Love it. Apparently "very good" condition holds a very high standard because my XR16 3 and 5 woods came in looking just shy of new. As far as Callaway fairway woods go I must say they are hard to beat. These woods in particular react very well with swings ranging from 70 percent all the way up to full swings. Very pleasing to the eye, the woods look inviting. I encourage anyone to hit any semi newer Callaway wood. Very easy to hit with consistent results. Feels good at impact and very appealing to the eye. I love this club. Easy to hit fairway wood! Large head and easy to hit from the fairway or from the teeing ground. I love the shaft.